of this dynasty fanned out, across Hungary, Romania, and Galicia; it was also in America. They left Williamsburg and the Lower East Side behind, choosing places like Newark, Pittsburgh, and Philadelphia. brilliant talmid chacham and author of Teshuvos Mevaser Tov. Both are grandchildren of Rav Issamar of Nadvorna and descendants of Reb Mordche'le. This elderly couple is chassidic aristocracy, yet they've made it a point, from the very beginning, to transmit their holy mesorah quietly and humbly, reaching Jews one at a time. there; he then went on to learn in Torah Vodaath and received semichah from Rav Yaakov Kamenetsky and Rav Yonason Steiff. secular Jews, the Rebbe provided answers, warmth, and direction to students and secular Jews, his rebbetzin providing nourishing meals and comfortable accommodations. They created a flourishing kehillah, and it seemed that Cleveland had its rebbe, and the Rebbe had Cleveland. wants to hear the truth gently and politely"
is not unwanted even in the "modern" city. end, people feel the emes." takes close to 20 minutes — is one highlight. the Rebbe for Shabbos at least once a month. city — haven't changed anything. can be fired unless it was decreed in Heaven. seek to draw them close." the generals fighting a battle without troops. The rebbe's home is open to many guests and many times Yeshiva bachurim and seminary girls have stayed for Shabbos basking the rebbe and rebitzen's hospitality and hachnasas orchim. 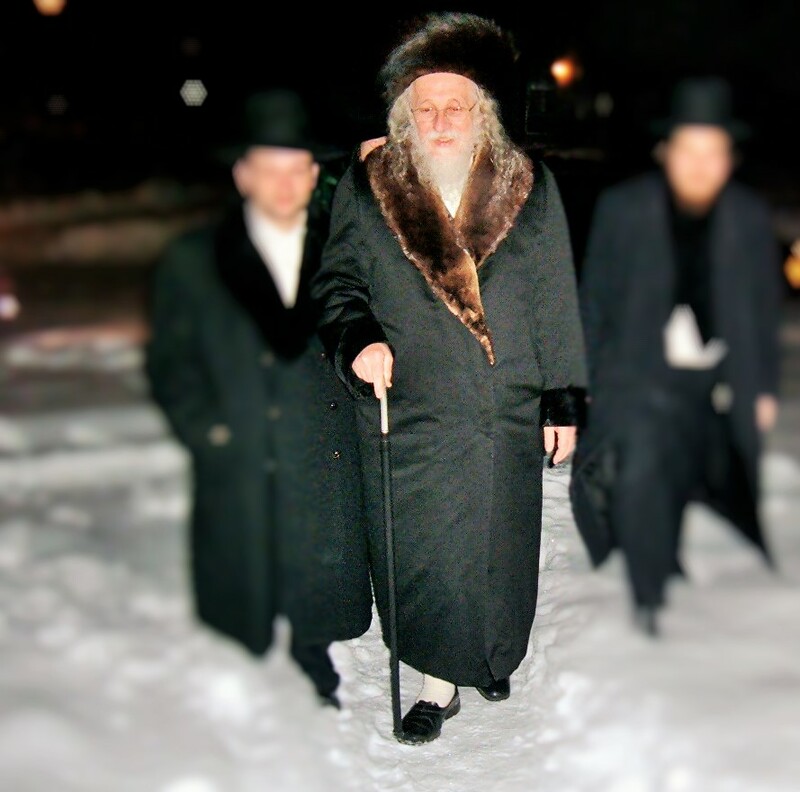 One Shabbos several bachurim from Rav Tzvi Kushelvskis Yeshiva were at the rebbe's Shabbos table and the talk turned to whether tziduk and righteousness was preferable or whether lomdus was more important. The bochurim seemed to theink the learning trumped everything else. The rebbe smiled his characteristic smile, chuckled and said to them, really is that so, well then tell me what did Dovid HaMelech say in Tehillim Hashem Shamra Nafshi ki Chossid Ani? According to you he should have said Ki Lamdan Ani?! 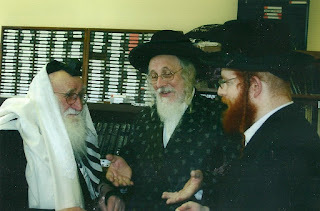 The Rebbe's Ahavas Yisroel extends to all Jews from all walks of life. I was once zoche to be with the rebbe in Yerushalayim Ir HaKodesh on his father's Yahrzeit on the way back to Raanana we stopped at the gas station to fill up. 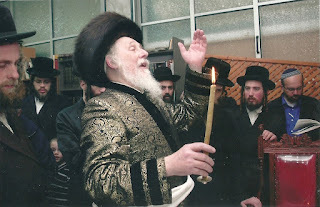 The rebbe noticed from his window next to the driver's seat that directly across from us was another driver who was bareheaded he was about to bite into a sandwhich. One second! Said the rebbe to the driver, are you Jewish? Yes admitted the surprised driver. Well then here take this, the rebbe removed his wide brimmed felt hat and took of his own yarmulke, offering it to the stunned driver, he said "here take this and make a beracha! How can a Yid eat without a beracha?" Another time we had just finished davening by the kosel, as we walked back to the car waiting for us we passed by a large group of youn Israeli soldiers who were there to be "sworn in" in their induction ceremony. Unabashed the rebbe walked straight up to the leader of the group and asked him in Ivrit if he was in charge of this group of soldiers. respectfully he answered in the affirmative and then the rebbe asked if he would do him a personal favor. I am assume you are swearing these soldiers in to serve? The latter nodded and indicated that this was so. Please if you are doing so and mentioning G-d's holy name I urge you to at least see to it these young soldiers have their heads covered with a kippa. He smiled and continued on his way. In fact the rebbe is the only chassidishe rebbe I know that says the MiSheBerach for Tzahal himself at the amud on Shabbos and concludes it asking Hashem to return them all BeTeshuva Sheleima BiMehara. I once asked him why he does so? As he does not recite the MiSheBerach for the Medina nor does he celebrate Yom HaAtzmaut. He told me that since they guard and protect us we must daven to Hashem that He gives them the ability to do so. We must always daven to Hashem for His protection and they are His shlichim, the rebbe explained. In fact he was extremely distressed when he heard news that soldiers had been attacked by fanatics in the charedi camp and told me that it was a terrible unthinkable thing that they did to attack a Jew. A non religious Jew asked to get an aliyah and bentsh gomel. But Rebbe I said, the man is not shomer shabbos. Nu said the rebbe, I never saw him be mechallel Shabbos, and you, you say so? So I dont have to believe you when you say something bad about another Jew. The Jew got his aliyah and Bentshed gomel. There was once a ger tzedek who visited the rebbe many times before his conversion when he was still a non Jewish gentile. He was studying in a yeshiva and when the rebbe asked them to send bachurim to help make a minyan they sent our gentile friend who had never told them he wasnt Jewish! 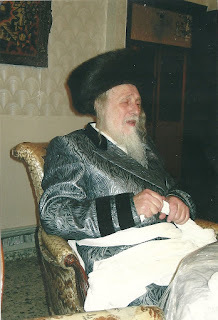 In fact he often visited the rebbe many times, no one knew he wasnt a Yid and no one took any precautions around him for Yayin Nesech counting him for the minyan etc. One day he revealed to the yeshiva he was attending the truth. They sent him back to the US to convert. When he had undergone conversion he then realized what he had done. Here he had attended the rebbe's minyan and home and accidentally caused the rebbe to not have a minyan of ten or stam yayin etc. He wrote the rebbe a letter of apology. Not only was the rebbe not makpid. He welcomed the ger tzedek with open arms back to his home and treated him as an honored guest many times. Finally when B"H the young man was engaged the rebbe himself sent out the invitations signed himself and the Rebitzen on them and led the couple down to the chuppah to build a bayis ne'eman beYisroel. The Rebbe was raised in a rebbishe home and he and all his brothers were crowned to serve as rebbe even in their father's lifetime. His older brother lived in Williamsburg was called Strozhnitz, the next brother was the Moshulou Rebbe of Moshulou Parkway Bronx and later in Boro Park, his youngest brother is called the Kalischer and holds court in Flatbush. and then he added regarding Pidyonos - the monetary donation handed to a Rebbe along with the kvitel - the note inscribed with the names and requests of the petitioner(s). "My zeide (grandfather) the Rebbe Reb Mordechail'e (founder of Nadworna's dynasty) once told his chassidim that if they could snap the golden reinish coin he accepted as a pidyon in half his very own blood would pour out from the coin!" (Alluding to the sweat blood and tears of toil that the tzadik did in order to grant his petitioners salvation and thus earn his keep). Regarding the concept of Shidduchim my Rebbe related how his mother and father's shidduch came about. I had the zechus a few time to travel with my Rebbe, the Clevelander Rebbe Shlita of Raanana up North to Kivrei Tzadikim. He related that we would imyh first stop in Tiveria by Rav Meir Baal HaNess, as to why we would go there first (usually many people begin with Rashbi in Meron) he related that when he asked his zeide, Rav Isamar of Nadvorna Zatzal, where to go first that Rav Isamar told him to first visit Rav Meir. I asked my Rebbe, why? My Rebbe said he did not ask his grandfather as to the reason for this. 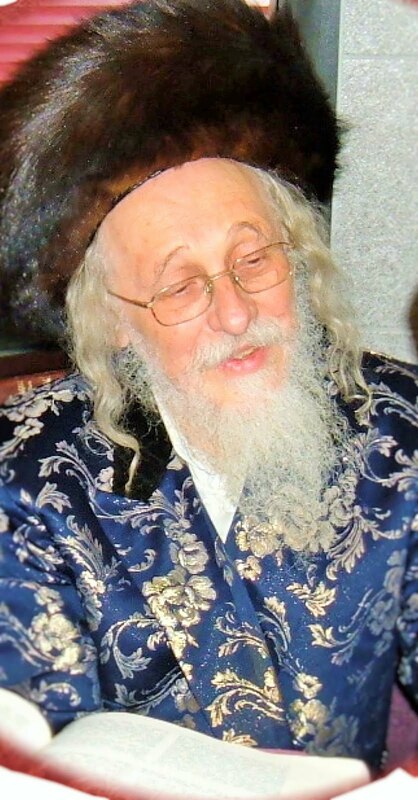 I speculated whether it was because the Nadworna dynasty hails back its ancestry to Rav Modechaileh's uncle Rav Meir of Premishlan of whom the tzadikim used to say (I saw this in the sefer Raza DeUvda Kretshnif) that Rav Meir of Premishlan is Rav Meir Baal HaNess and that he is the same Rav Meir (Der Reb Meir and Der Reb Meir zaynen der zelben Rav Meir) ? He speculated that it is possible that this is why. He then related a story that (I saw this also in Raza DeUvda) once a Jewish woman came crying tearfully pleading with Rav Meir of Premishlan that her son merit to have the same level as the tzadik did. Rav Meir answered her admonishingly with a jest "Not in all gardens do such Meiren (carrots in Yiddish) grow!" Last year around this time before Shabbos HaGadol I was in Detroit with my rebbe staying by Rabbi Meir Kranzer the rebbe's achsanya and we visited a neighbor HaRav Shmuel Kaufman an einikel of Rav Herman (of fame as in the bio about him All for The Boss). The two sat and exchanged Eliyahu HaNavi stories! 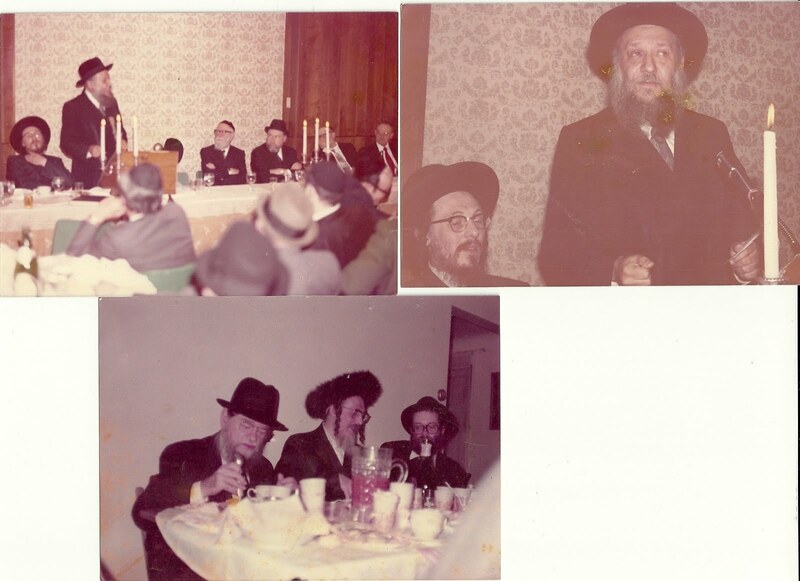 Rav Kaufman related how many many orchim would be his zeide's Rav Herman 's guests as he kept a home open to orchim with a high standard of kashrus. Often he would help them make the many beds, cook the food for Shabbos and help get the orchim anything they needed. One "guest" came and asked for a meal, Rebitzen Herman quickly prepared it for him for which he gave them his beracha but when they came to attend to his needs further he had vanished! Rav Kaufman said that they believed it must have been Eliyahu HaNavi. My rebbe then countered with a story of how they had had a "guest" who also visited their home in Cleveland who had similarly vanished without a trace. It was erev shabbos chol hamoed pesach and a strangely attired "guest" came knocking at the door. 2nd floor was were the bedrooms & dining room and pesach kitchen were located. and hospitality and announced "I am leaving please give me some food to take along,"
We were surprised and so we asked him "Where are you going?," "I have where to stay." and he had to have gone down a flight of stairs and gone out of eyesight? I said to myself perhaps it was Eliyahu HaNavi! ?